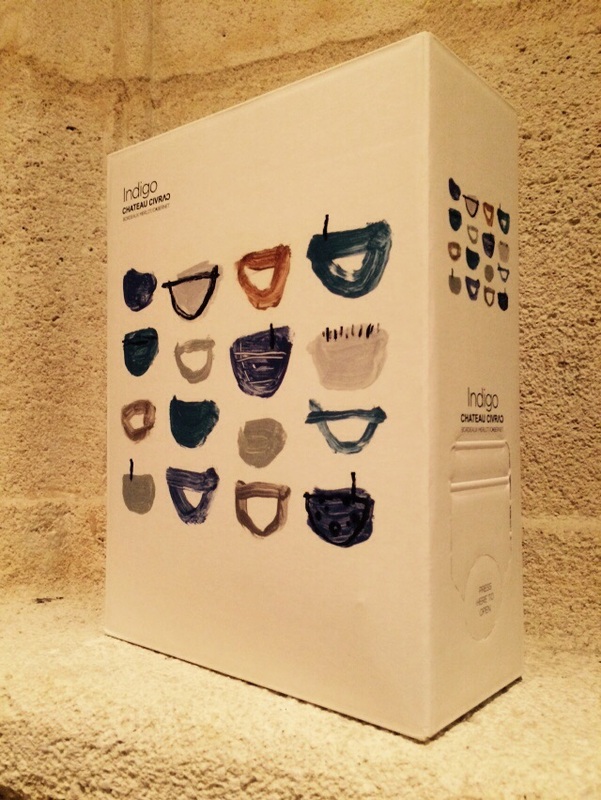 Indigo is produced in conjunction with Tate: the first ‘posh bag in box’ wine. the box combines an easy drinking red Bordeaux wine with ultra contemporary packaging and minimalist modern art. Indigo is packaged in a three-litre box and 75cl bottle. Blended from 2012 Merlot and Cabernet Sauvignon, the wine is suitable immediate drinking and will last 10 days after opening. Tasting Notes: Indigo blends soft plummy Merlot with rich Cabernet berries. Aromas of cherry and blackcurrent and a light oak finish: It is a juicy easy drinker! 12.5%. Made by Mark Hellyar, the Cornishman in Bordeaux in collaboration with Hamish Anderson: journalist, writer and buyer for Tate Modern. I’ve always wanted to make a sticky but the Cotes de Bourg is not a suitable place to make it because of the limestone soil. 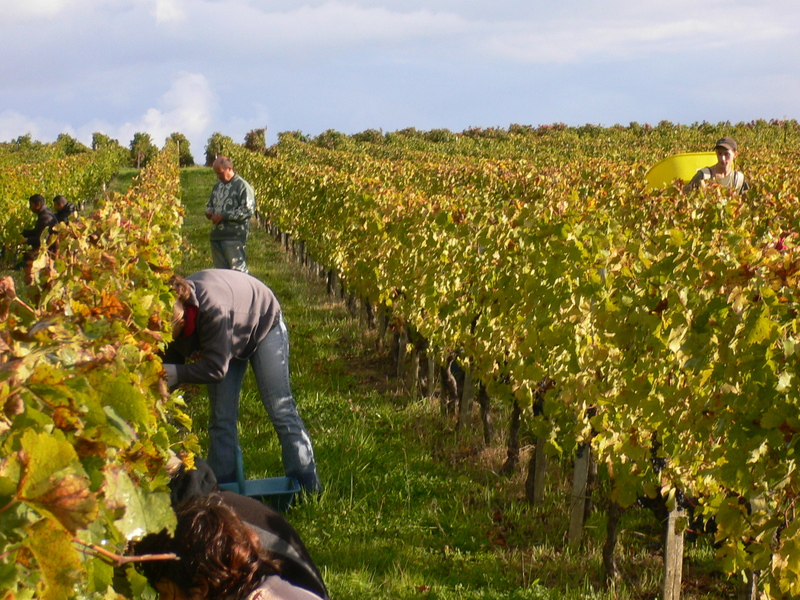 Semillon need good clay soil to flourish and the area east of Bordeaux is traditionally the best for this. With the aid of Ludwig my consultant we have therefore chosen to buy our grapes and make our sticky in the Appelation of Saussignac. This AOC is next to Montbazillac which is better known but in comparison to the wines of Montabzillac, Saussignac is less sweet and more savory. I think a better balance. Tasting Notes: With aromas of honey and dried apricots and rich in the mouth, at 13%, it is as BinTwo in Padstow describe, ‘divine’. 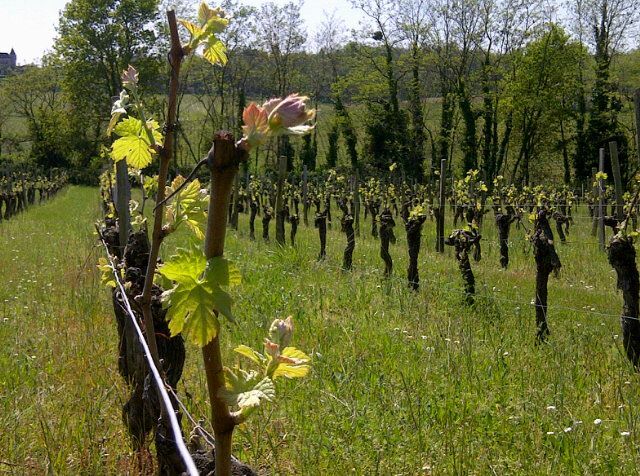 So what do I mean when I say that we produce a natural wine? There is quite a bit of mystery and misleading information when it comes to understanding exactly how wine is made. This is quite often deliberate on behalf of the large factory producers who dont want you to know, but also perpetuated by exclusive properties to increase the mystery and therefore the price of their product. 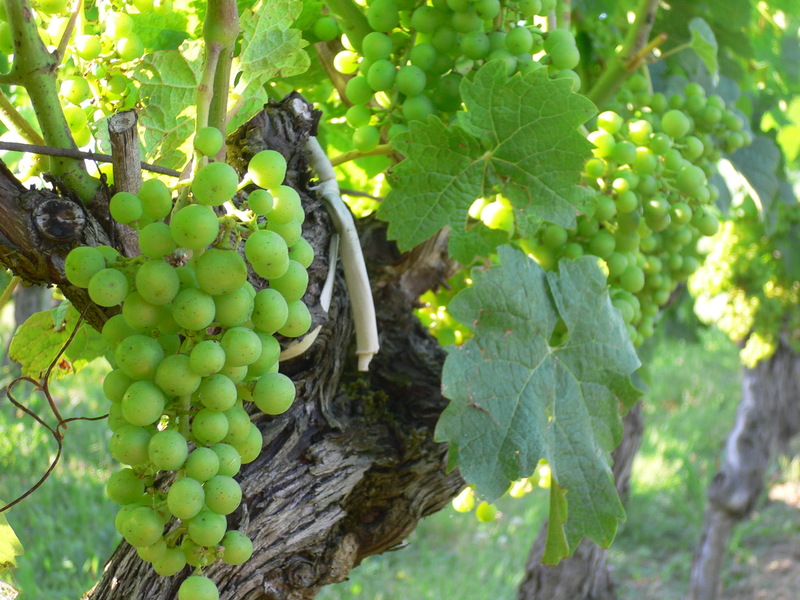 Wine making, especially red, is essentially a simple process: grow grapes, ferment, bottle. A good wine should really only contain grape juice and yeast (or rather the bi-product of the yeast and natural sugar in the grape juice). To prevent oxidation, there will also be a tiny amount of SO2. The mystery comes from the way in which the grapes are grown, harvested and then the actual winemaking process itself. 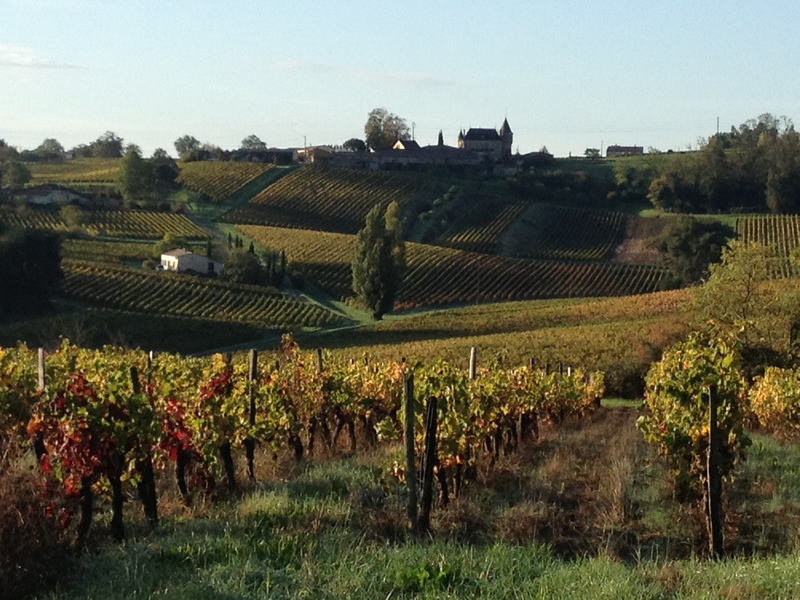 We maintain our vineyard in a natural way: The French say ‘lutte raisonnée’ (reasoned fight or pracical organics). Organic products are used (copper and sulpher) and we attempt to minimise mechanical intervention (hand pruning and minimal tractor work). This does mean that our vineyard does not look intensely manicured. In fact it looks a bit messy with grass growing between the vines and lots of native plants and wild flowers within that grass. However, this is supposed to be a natural place that supports a good wildlife system. In the wine cellar we use as little chemical intervention as we can. That means using a minimum amount of SO2 to protect the wine and avoiding additives to the wine such as colour and flavour enhancers, deacidifiers, sugars: Yes all of those are used in larger factory wines. People I speak to are often shocked by this. But there is no requirement to put this information on the wine label. I’m hoping that the more people understand about wine, the more that they will ask for wine that is made naturally. It may cost a bit more because it will have been made by hand but you will know what is in it and I know which I would always choose. 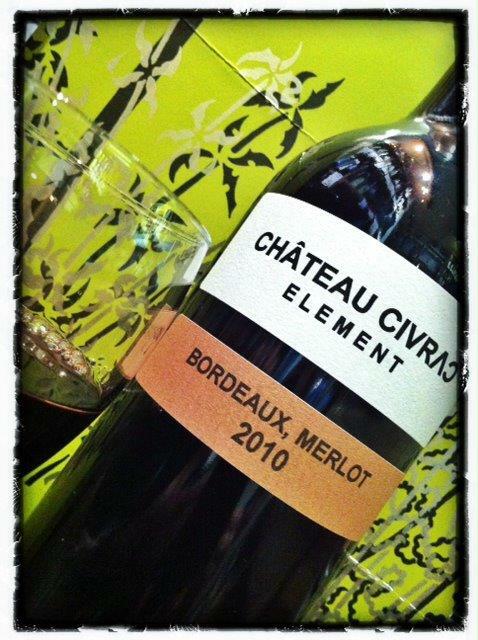 Element was the name of the first simple, single varietal wine we made in 2007. This was a year of lighter wines with generally poor growing conditions. When it came to the point of blending the Grand Vin, unlike other properties, we chose to treat our Merlot separately. In fact treating it more like a Pinot Noir than a Merlot. It was only 11.5% which would have been looked down upon by the Bordelaise; blending it to hide that away. Instead, we chose to treat it like a lighter wine: embracing the lighter delicate flavours, softer tannins and then bottling it simply with a screw cap. 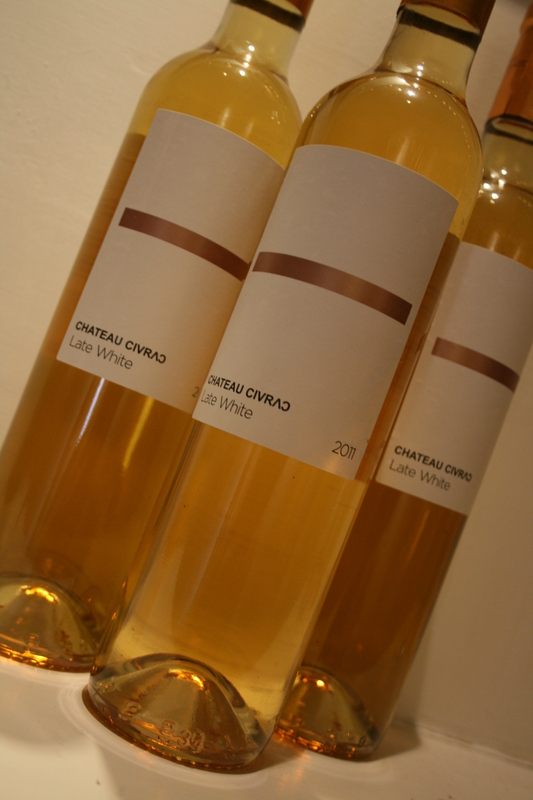 Created our first house style wine that has proved to be very popular.